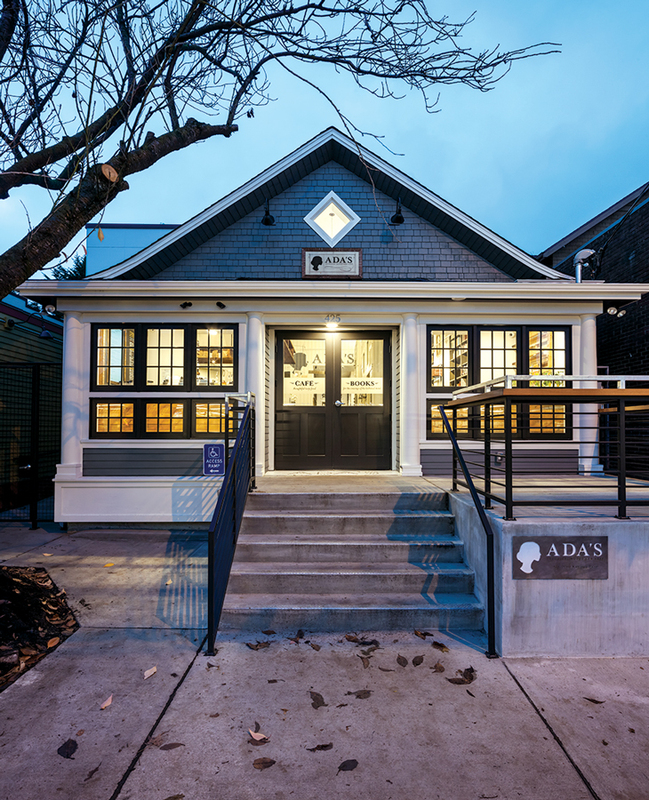 Housed in a remodeled 1929 bungalow in Seattle's Capitol Hill neighborhood, Ada’s Technical Books incorporates high-tech touches in the decor, such as LED light panels. Danielle Hulton plucks an oversized hardbound book from the wooden shelves of Ada’s Technical Books to share with a customer. She excitedly flips through the pages, lingering to look at her favorite illustrations. Hulton’s own story is one of pioneering pursuits. She graduated from Seattle Pacific University in 2008 with an electrical engineering degree and began her career at Pico Computing, which counts two SPU alumni as founding members. She excelled, but wanted to find a way to foster community in Seattle’s tech world. Ada’s Technical Books, which opened in 2010, embodies Hulton’s many loves: math, science, reading, and her husband and business partner, David. Her admiration for female scientists literally hangs over the door. The store’s namesake, Ada Lovelace, was an early 1800s mathematician. “Part of my business practice is to connect people. Those are themes you learn growing up in a church and going to a Christian university,” she says. As a young girl, Hulton accompanied her father to work at a small, Colorado Springs computer engineering firm, where his colleagues taught her basic circuity. The early encouragement inspired her to follow in her father’s footsteps. She chose to attend SPU where she identified with the tight-knit, supportive environment and “infectious enthusiasm” for learning. Now, she personally works the bookstore floor at least one day weekly offering reading recommendations, hosting book clubs, and even serving coffee. She wants to inspire visitors to explore new subjects and develop deeper relationships with already familiar topics. “The amazing thing about Ada’s is that Danielle has blended her engineering background with her personality and created a space to promote everyone being interested in technical fields. No matter who you are, there is something you’re drawn to, even the chemistry of cooking,” says Haley Krommenhoek ’08, an Ada’s customer and fellow engineering graduate. 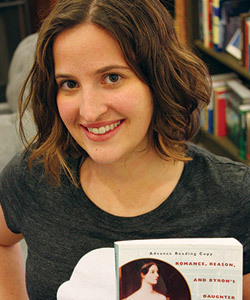 When she attended a bookstore event last fall, Krommenhoek was struck by the overwhelming welcome from local residents. “I talked with a woman who had lived in the neighborhood for over 30 years, and she started crying. She said that she was emotional because she was so overjoyed to have the new bookstore and the sense of community it was creating. It was amazing,” says Krommenhoek. 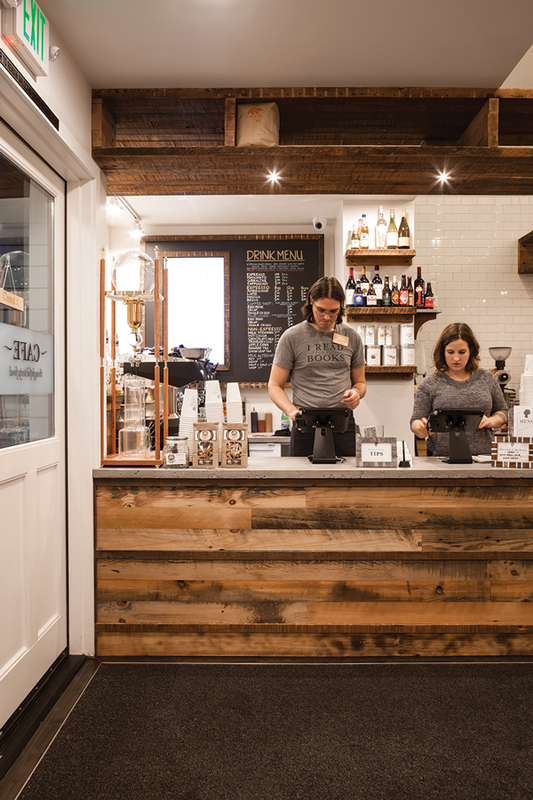 The shop has become a second home to its Capitol Hill neighbors — somewhat literally. Ada’s relocated in November 2013 to a remodeled 1929 bungalow. 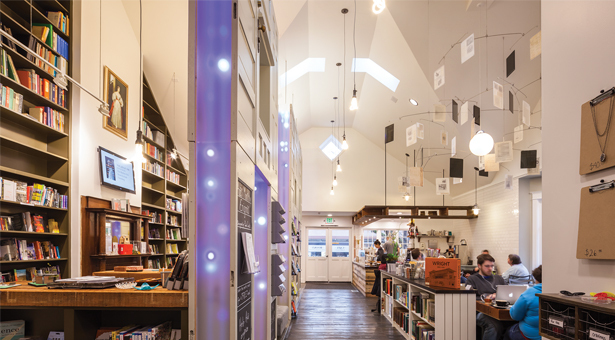 The building more than doubled in size to accommodate a café and burgeoning book selection. Hulton is quick to note that “technical” includes everything from engineering and particle physics to sewing and Star Trek. There is something for all interests.